Prevention is often better than cure. 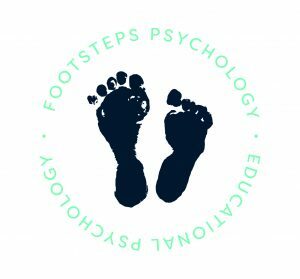 Footsteps Psychology passionately believe that whole school input can have a significant impact for all pupils and staff by building capacity and sustainability within the school system. Systemic and strategic whole school input can reduce the later need for Educational Psychology casework and benefit many more pupils than that achieved through individual casework. Bespoke whole school services can be designed and commissioned to suit school needs. Reducing challenging behaviour via a School Wide Positive Behaviour Support (SWPBIS) approach. A whole school literacy strategy with the aim of raising pupil attainment. A whole school oracy strategy, with the aim of raising attainment. Providing supervision to key staff across school. Delivery of a Well-Being Charter Mark (Sandwell Charter Mark). Delivery of a whole school sensory needs audit. Child and Educational psychology ‘drop ins’ which provide a short advice session for school staff who have concerns about a pupil or specific area of need.